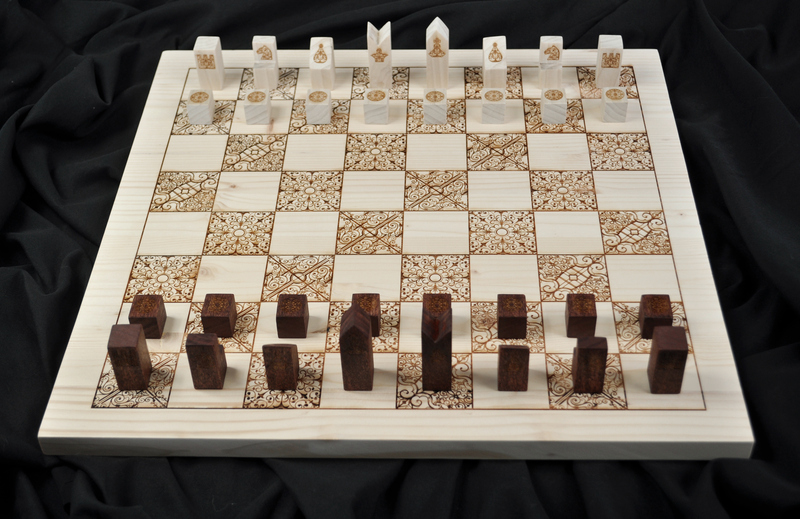 All designs are based off of old castle gates, relating the chess set back to the historical period of which the game originated. 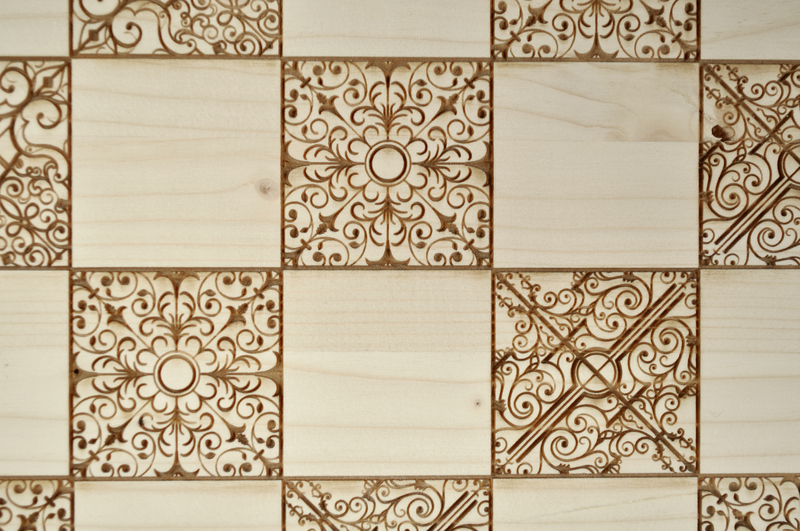 The designs were laser engraved into wood, with the contrast of the engravings against the bare wood creating the difference of dark and light squares. 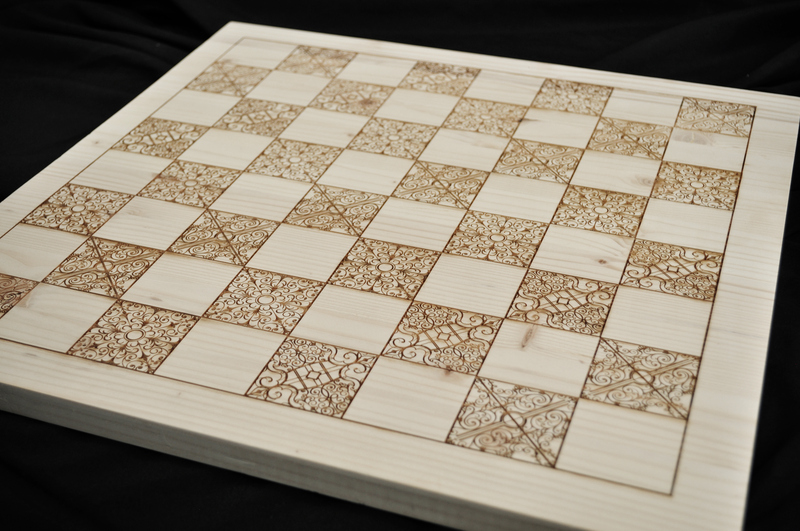 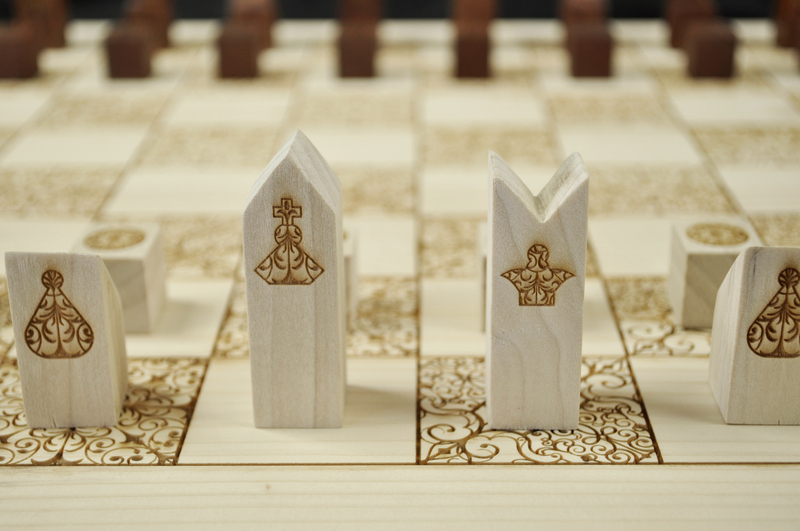 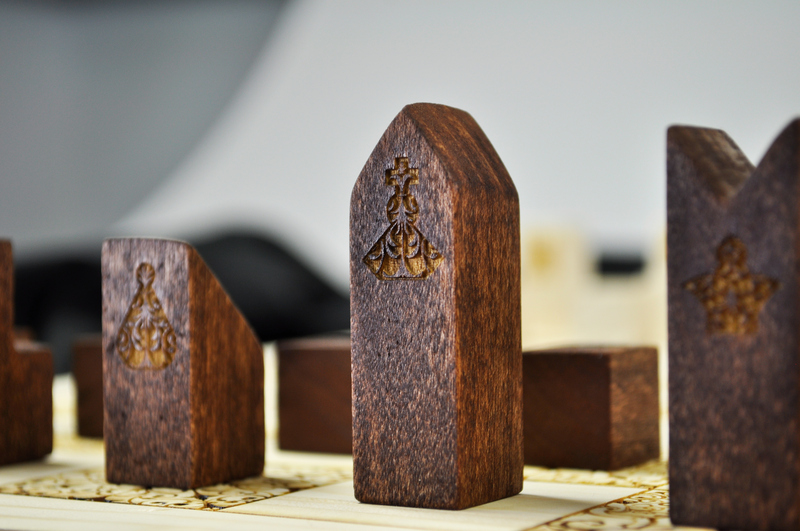 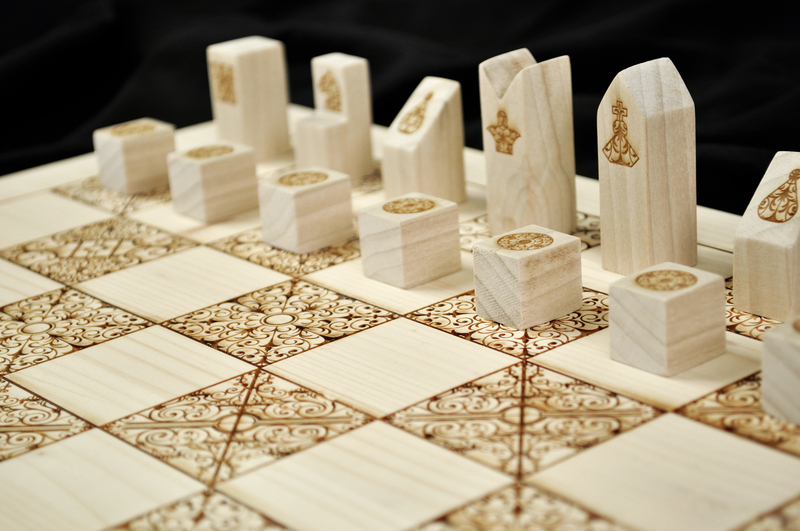 All chess pieces were hand cut and individually laser engraved as well.